Rural electric cooperatives are nonprofit electric utilities. Unlike the big investor-owned utilities, rural electric cooperatives (also called “electric co-ops”) are owned by member-owners, the customers whose electricity they provide. 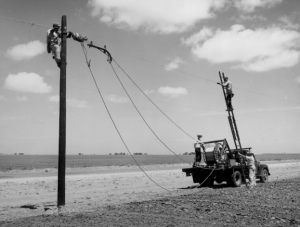 Early image of a rural electric cooperative installing power lines. Minnesota rural electric cooperatives have a strong presence in the state. Combined, they provide electricity to more than two million Minnesotans. And their footprint is incredibly large: The combined service territory of all rural electric cooperatives covers 85 percent of the state. Of the nearly 50 electric cooperatives in Minnesota, the vast majority only distribute electricity. They don’t produce their own electricity. Instead, they purchase it and deliver it to customers. Of the two million Minnesotans who receive their electricity from a rural electric cooperatives, many don’t know they are member-owners of the cooperative and that they have a say in its governance. While some electric cooperatives are charting the future by empowering member participation in decision making, insiders who favor the status quo still control many of Minnesota’s rural electric cooperatives. Many cooperatives also rely on centrally-generated coal-fired power and see distributed renewable energy as a threat to their customer base, rather than an opportunity for their member-owners. In 2017, Minnesota lawmakers decided to remove state oversight of rural electric cooperatives in customer dispute resolution. As a result, it’s more important than ever that Minnesotans engage with their rural electric co-op and ensure that their utility represents their needs. 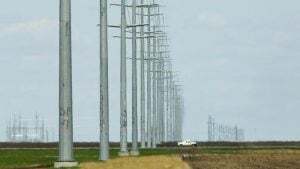 Minnesota’s Electric Cooperatives: Laboratories of Utility Innovation – This study, conducted by the Center for Energy and Environment, summarizes ten case studies on rural electric cooperatives in Minnesota and their governance strategies. In Midwest, rural co-ops taking a lead on community solar – This article from Midwest Energy News explores how some rural electric cooperatives in Minnesota are building community solar projects for their customers. Minnesota legislation would end state oversight of small utilities’ fixed fees – This article from Midwest Energy News outlines the state legislature’s 2017 decision to lift state regulatory oversight from rural electric co-ops that are resolving customer disputes. 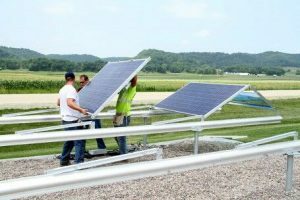 Removing co-op oversight jeopardizes rural solar – This piece from the Institute for Local Self Reliance provides commentary from ISLR’s John Farrell criticizing the Minnesota legislature’s 2017 decision to remove state oversight of rural electric cooperatives from customer dispute resolution. GoWest Solar program hits “sweet spot” – This blog from Solar United Neighbors of Minnesota Program Director Virginia Rutter describes an innovative program from Lake Region Electric Cooperative (LREC), based in Pelican Rapids, assisting member-owners who are interested in going solar with design, installation, and maintenance of solar arrays.